Sunny Side Up: Building Community Through Food and Friendly Fowls	Live in the Garfield Park Neighborhood? Big Car Collaborative’s resident researcher and placemaker, Adam Rakestraw, is working on two community projects that needs your attention and support! 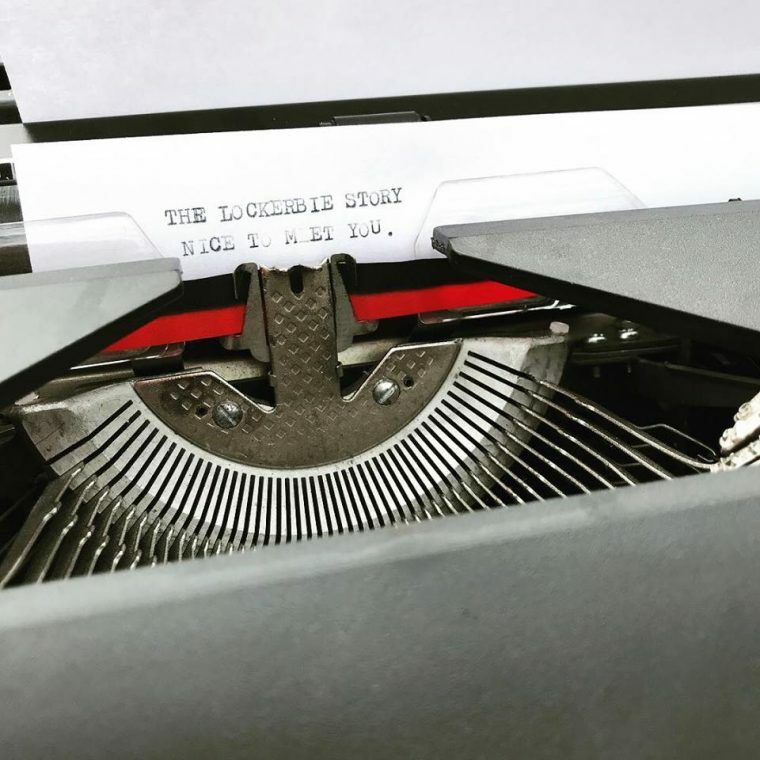 The first arts project, The Lockerbie Story Project, is a continuous fictional story made from the imagination of individuals and a typewriter in public space. The project seeks to reanimate the art of storytelling by asking participants to imagine, world-build, and write! The project is an intimate way to reconnect to the long tradition of storytelling and myth by writing on a Royal Epoch typewriter in the middle of Lockerbie Square in Indianapolis, Indiana. Rather it is only a line or a paragraph, each participant sets the next scenario, describes the situations, or just rambles on by reading the previous lines of a total stranger. Yet the fundamental of storytelling are ever present. It’s a form of social engagement and interaction typically with no conclusion, as it’s the journey that matters. The Lockerbie Story project takes place every Thursday 11-1:00pm in Lockerbie Square next to Needlers Fresh Market,320 N New Jersey St. It runs from late August to November. You can also take part at Tube Factory artspace on Mondays. Once the story reaches an end-point, it will be translated to become a graphic zine emailed to all participants. Come be apart of the project! The second community project is the Garfield Park Porch Project, which highlights stories and memories about neighborhood change from the perspective of Garfield Park residents, -especially long term residents. And all from the comfort of their front porch! To continue on the dialogue emerging from the film, The Florida Project, the porch project attempts to play on various underlying themes present from the film, -disenfranchisement, wonder, utopianism, joy, underrepresentation, marginalization, and facade. Like in The Florida Project, The Porch Project ultimately seeks to be a continuous challenge to the modern, “American Dream” national narrative present in the U.S. As The Porch Project is set to capture an ethos of the neighborhood from the perspective of residents currently facing a demographic shift in the area. The Porch Project discussions will run from August until November, with a exhibition date for February. Any willing resident of the Garfield Park neighborhood is encouraged to reach out! Adam obtained his Master of Arts degree in the Netherlands from Universiteit Utrecht in Art and Society. He is also holds Bachelor of Science degrees in Fine Art, Anthropology, and Art History from University of Southern Indiana. Located in his hometown, Evansville, Indiana. The research topics Adam focuses on include creative cities, creative economies, and arts activism. Six years experience as a creative producer and researcher in the Arts & Culture and Urban Development sectors. He researches on European Arts policies with think-tank EUrArt, alongside being an artist, writer, academic, and creative cities developer. As of Spring 2018 he was accepted into Winchester School of Art, U.K. for his Ph.D research into creative city development and will join the school in Fall 2019.